Please join our C.U.L.T. Of The Month residency! 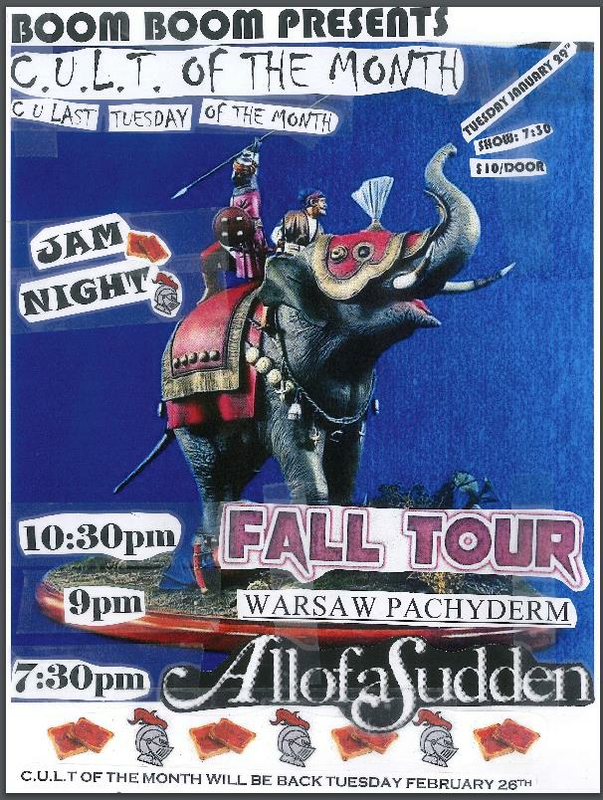 We want to C U Last Tuesday of the month for some local bands and high energy improv that will shake you loose of your weekday blues and provide the necessary disruption you crave. Celebrate your inner demons and come party on a Tuesday with some primo San Francisco jam bands, plenty of delicious drinks, and lots of room on the dance floor to meet that special-someone you've been missing. 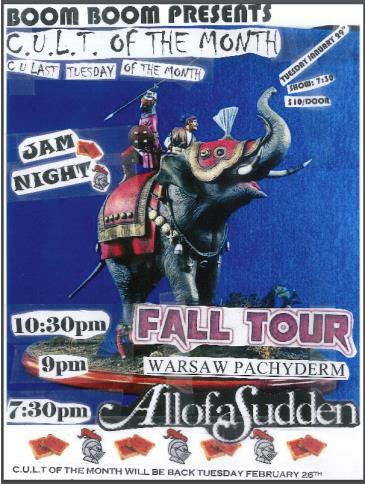 Warsaw Pachyderm = these guys + friends. They play music you will dance to.